They may not always be there to kill steal. They may be checking to see if the portal's full. If you say "CC please" (Change Channel please) the minute they enter, they may feel aggravated and wish to Kill steal you more. If you have established that they are indeed KSing you, ask them politely to change channels. They may think you don't mind and being rude will aggravate them. If they are insulting you or throwing you rude comments, ignore them completely. If they refuse to leave at all and you need to get rid of them fast, try with one of the following ways. • Reason it out with them Be polite, talk it out try to reason with them. Sometimes KSers are sensible. Ask why they're cursing you and see if all they need is a "I'm sorry"
• Befriend them. Although may be difficult, continuing being nice to them may make them more willing to leave you alone. • Invite them. If the curser is a person weaker than you, make a party and invite him. You will some experience, and you can help each other to level! • Be creepy. Although an odd tactic, being creepy may make the KSer feel uncomfortable and wish to willingly leave. Acting over flamboyant seems to make many male KSers uncomfortable easily. Even if they are creepy back, go with the flow. Go ahead, be a Troll. • Confuse them. Doing contradictory things may confuse them. For example, asking them to Change Channels and defaming them, then later sending them friend requests, facebook, email, name or anything personal will possibly confuse them. • Reverse Psychology. Some KSers are there just to KS. Reverse psychology, although may seem childish may indeed work. Saying things such as "kill faster, please" and continuing to say "faster" may belittle their actions and they may feel the need to leave. • Be Annoying. Don't be too mean, just say really annoying things. • Leach off of them. If they are stronger than you, use that to your advantage. Hit each monster a few times, at least once or twice (depending on HP amount) and then move on without killing. You will at least receive some EXP without having to do any actual work. • Kill steal back. If you are stronger than them, try to do the same to them.Group attacks work best so the whole map is covered. Getting more members from your party, guild, friends, or alternate stronger characters can help you kill steal back. This is a bit risky, as you may get defamed. Especially if they're tracking you and following you around. If you blacklist them, they can't track you. If they're still following you, play a different character for a while. Go into a dungeon or go somewhere they will definitely die like Big Foot, or get lost such as Crimson Wood. Some KSers will disconnect, get bored, or have to leave. The longer you stay on, the more likely chance the other will leave sooner. If all else fails, accept defeat. Accept the fact that you can't win every time and Change Channels. 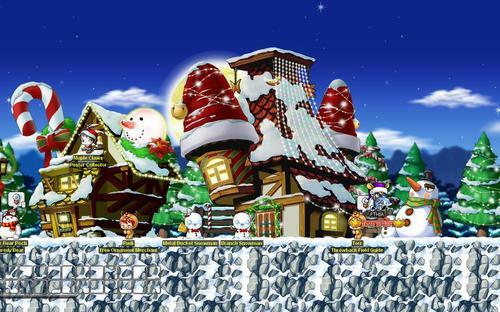 You can get rid of a "Kser" whith this guide in Maplestory. Hope it can help you.